Whiplash is a very common term used to describe a number of neck-related injuries. According to the Insurance Institute for Highway Safety, whiplash is often just mild muscle strain and possible tearing of soft tissue in the neck. However, neck pain following a car crash can be serious, and it could be a sign of disk or nerve damage or even ruptured ligaments or vertebrae fractures. If you do not have whiplash following a crash, it does not mean the crash was not severe. You may not suffer whiplash at all if there was no movement of the head in relation to the torso. 2. What kinds of crashes cause neck injuries? According to DMV.org, neck injuries are among the most common insurance claims in the United States. Up to two-thirds of all claims in 2007 were for minor neck strains or sprains. The cost of these claims is high, and even though they are the most common, it does not mean you should not report your own concerns. Whiplash can occur following any type of crash, but they are most common in rear-end accidents. According to the National Highway Traffic Safety Administration, there were more than 800,000 whiplash injuries between 1988 and 1996, and experts estimate that more than one-quarter were due to rear-end crashes. 3. Can head restraints prevent neck injuries in the event of a crash? According to the Insurance Institute for Highway Safety, many people refer to head restraints as headrests. They are common in most cars, and while many believe they are there for comfort, they actually play an important safety role. During a crash, these restraints can support your neck, and when combined with seatbelts and airbags, they form critical safety features that you should not ignore in a motor vehicle. If you are suffering from neck injuries following a car crash, call a Miami personal-injury lawyer from Wolfson Law Firm LLP today at 305-285-1115. 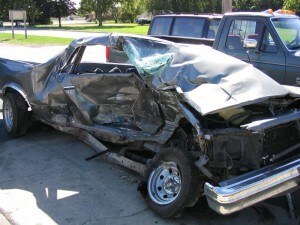 We have extensive experience handling car accident cases, and you will not have to pay attorney fees if we do not win.